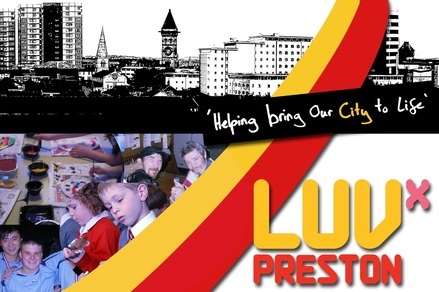 Luv Preston is a local charity which aims to love and serve the city of Preston by providing care and support to those who find themselves disadvantaged and disconnected in the community. We love Preston. It’s important to love your own city. But, like everywhere in the world, Preston is not without its problems. Many of its citizens are broken, disconnected, marginalised or in poverty. We believe that our duty to our city is to do whatever we can to change this, and we value social action as a means of making Preston a better place to live for all. Who the person is does not, and should not, matter, it is the position they find themselves in that we care about. Therefore, we are committed to providing help, support and, above all, friendship, to the broken in Preston wherever we may find them. We do not concern ourselves with a person’s past, unless they wish to share, rather, it is where they are going and how we can help. If you too believe it is the duty of individuals to make a difference in our own city, please support us in any way you can, be it financially or by volunteering your time at one of our amazing projects.